TMI Products set standards above OEM, so you will get the highest quality seats, available here in Vinyl and Synthetic Cloth. Vinyl upholstery sets may be all Vinyl, or may feature Uni-Suede and Aberdeen Perforated Inserts, while the Synthetic Cloth sets have Uni-Suede Inserts accented throughout the upholstery. Choose from a variety of upholstery combinations, colors, and styles below. 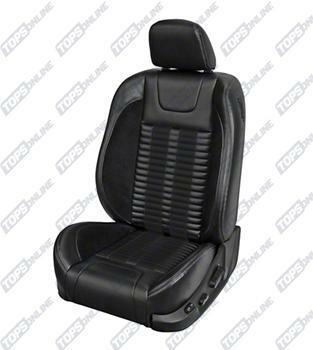 This replacement Sport Seat Cover Kit is only for the Ford Mustang GT Coupe and Convertible models WITH Airbags in the seats for the 2013-2014 model years. TMI's Sport Seat upgrade upholstery sets are available in OE Vinyl with Uni-Suede inserts, Aberdeen Perforated Inserts, and feature additional corner-hugging side bolstering on the front buckets. 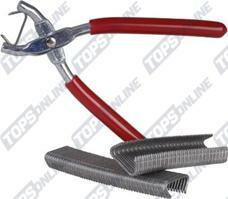 The Sport R kits fit on your original GT and V6 seat frames. 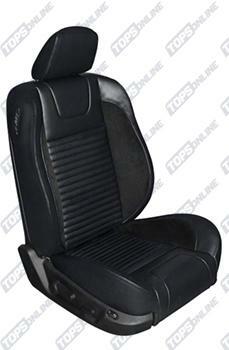 The Sport R500 front bucket seat foam that comes with this upholstery is ONLY for use with seat frames found in all GT Mustangs. Both Sport seats have options for a low back or high back style. The replacement Seat Foam (included) fits over your original headrest if you choose the high back version, or you will receive replacement covers for your headrest if you choose the low back style. Sport R500 seats will be more aggressive looking with the dual Rally stripes and contrast stitching in several color options while the Sport R seats will have a pattern reminiscent of the factory original with added suede bolsters and contrast stitch. If you want an even more modern and aggressive styling seat, the Sport X and XR series are for you. Finally, we offer a nice alternative to vinyl with the Sport RS seats. They are made from breathable synthetic cloth and have Uni-suede inserts. TMI Products include a limited lifetime warranty: cloth products include a 1-year warranty. These replacement Vinyl Sport Seat Covers and Seat Foam Kit are the Full Set (Front and Rear) or Front Only for the 2013-2014 Ford Mustang GT Coupe and Convertible models and fit right on the original seat frames. 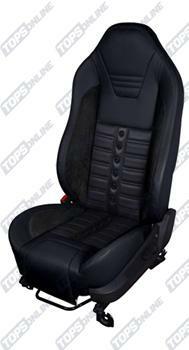 It is an upholstery set used to transform factory 2013-2014 GT Seats into the Sport R500 Hi-Back Style Seats. Upholstery kits will come with 2 Front Seat Foams that will fit over your original headrests. 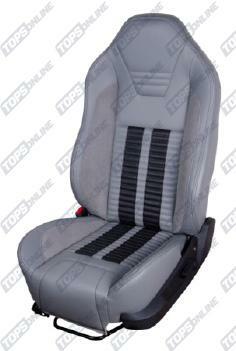 The Sport R500 front bucket seat foam that comes with this upholstery is ONLY for use with seat frames found in all GT Mustangs. It will NOT fit Cobra, Mach 1, & Bullitt factory seat frames. Vinyl upholstery sets have Vinyl Bolsters with OE Dove Gray Vinyl Back and Sides and High-Quality Medium Graphite UniSuede Bolster Inserts, with Aberdeen Perforated Inserts in the seat bottom and seat back. They also have Contrast Stitching throughout & Rally Stripes in a variety of colors. Vinyl upholstery sets have Vinyl Bolsters with Premium Black Vinyl (matte finish to vinyl) Back and Sides and High-Quality Black UniSuede Bolster Inserts, with Aberdeen Perforated Inserts in the seat bottom and seat back. They also have Contrast Stitching throughout & Rally Stripes in a variety of colors. These replacement Vinyl Sport Seat Covers and Seat Foam Kit are the Full Set (Front and Rear) or Front Only for the 2013-2014 Ford Mustang GT Coupe and Convertible models and fit right on the original seat frames. 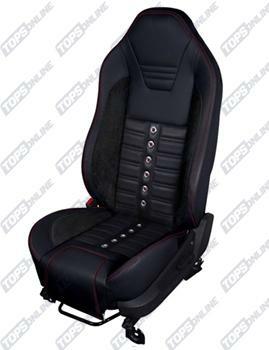 It is an upholstery set used to transform factory 2013-2014 GT Seats into the Sport R500 Low-Back Style Seats. Full Set includes a total of 8 pieces of upholstery: Upholstery for two complete front seats, including headrest covers, and Upholstery for one complete rear seat. Vinyl upholstery sets have Vinyl Bolsters with Dove Gray Vinyl Back and Sides and High-Quality Medium Graphite UniSuede Bolster Inserts, with Aberdeen Perforated Inserts in the seat bottom and seat back. They also have Contrast Stitching throughout & Rally Stripes in a variety of colors. These replacement Vinyl Sport Seat Covers and Seat Foam Kit are the Full Set (Front and Rear) or Front Only for the 2013-2014 Ford Mustang GT and V6 Coupe and Convertible models. Fits on original GT and V6 Seat Frames. 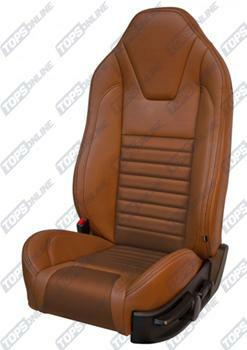 It is an upholstery set used to transform factory 2013-2014 GT and V6 Seats into the Sport R Style Seats. Vinyl upholstery sets have Vinyl Bolsters with OE Dove Gray Vinyl Back and Sides and High-Quality Medium Graphite UniSuede Bolster Inserts, with Aberdeen Perforated Inserts in the seat bottom and seat back. They also have Contrast Stitching throughout in a variety of colors. Vinyl upholstery sets have Vinyl Bolsters with OE Saddle Vinyl Back and Sides and High-Quality Whiskey UniSuede Bolster Inserts, with Aberdeen Perforated Inserts in the seat bottom and seat back. They also have Contrast Stitching throughout in a variety of colors. Vinyl upholstery sets have Vinyl Bolsters with Premium Black Vinyl Back and Sides and High-Quality Black UniSuede Bolster Inserts, with Aberdeen Perforated Inserts in the seat bottom and seat back. They also have Contrast Stitching throughout in a variety of colors. These replacement Vinyl Sport Seat Covers and Seat Foam Kit are the Full Set (Front and Rear) or Front Only for the 2013-2014 Ford Mustang GT and V6 Coupe and Convertible models. Fits on original GT and V6 Seat Frames. 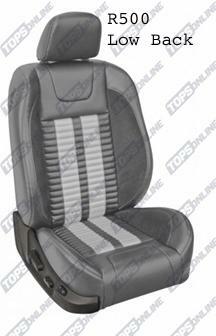 It is an upholstery set used to transform factory 2013-2014 GT and V6 Seats into the Low Back Sport R Style Seats. These replacement Vinyl Sport Seat Covers and Seat Foam Kit are the Full Set (Front and Rear) or Front Only for the 2013-2014 Ford Mustang GT and V6 Coupe and Convertible models. 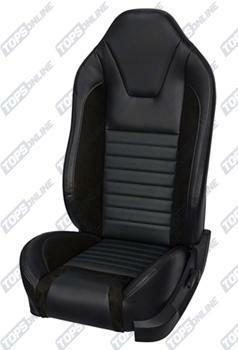 It is an upholstery set used to transform factory 2013-2014 GT & V6 Seats into the Sport XR Hi-Back Style Seats. Upholstery kits will come with 2 sets of Front Seat Foams that will fit over your original seat frame and head rest post. These Sport XR upholstery sets have Vinyl Bolsters with Premium Black Vinyl Back and Sides and High-Quality Black UniSuede Bolster Inserts, with Aberdeen Perforated Inserts in the seat bottom and seat back. They also have Contrast Stitching throughout & the color seen behind the grommets matches the Contrast Stitching. The Sport X series is all vinyl and does not have the Uni Suede inserts in the bolsters. Scroll Down for that upholstery set. These replacement Vinyl Sport Seat Covers and Seat Foam Kit are the Full Set (Front and Rear) or Front Only for the 2013-2014 Ford Mustang GT & V6 Coupe and Convertible models. 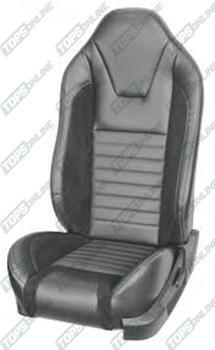 It is an upholstery set used to transform factory 2013-2014 GT & V6 Seats into the Sport XR Hi-Back Style Seats. These replacement Vinyl Sport Seat Covers and Seat Foam Kit are the Full Set (Front and Rear) or Front Only for the 2013-2014 Ford Mustang GT and V6 Coupe and Convertible models. It is an upholstery set used to transform factory 2013-2014 GT and V6 Seats into the Sport X Hi-Back Style Seats. The Sport XR series differs from the Sport X because the XR Seats have Uni Suede Inserts in the bolsters. The grommets are available in stainless steel or satin black. These seats feature the Satin Black Grommets. Please scroll up for the Stainless Steel Grommets. These replacement breathable synthetic cloth Sport Seat Covers and Seat Foam Kit are the Full Set (Front and Rear) or Front Only for the 2013-2014 (WITH Airbag) Ford Mustang GT and V6 Coupe and Convertible models and fit right on the original seat frames. 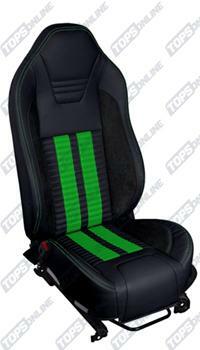 It is an upholstery set used to transform factory 2013-2014 GT and V6 Seats into the Sport RS Hi-Back Style Seats. Upholstery kits will come with 2 Front Seat Foams that will fit over your original headrests. The Sport RS front bucket seat foam that comes with this upholstery is ONLY for use with seat frames found in all GT & V6 Mustangs. These Front Bucket Seats are ONLY designed for use with 2013-2014 Mustangs WITH factory Airbags in the Seats. I ordered seat covers (which were in stock and arrived within about five days) and tore one during the installation. (It was my fault, not theirs). I emailed to inquire how much for a single cover since they only show complete sets for sale on their website. TopsOnline replied and ask that I send a photo of the damage to see if they could repair it instead of purchasing a new one. After reviewing the picture, he asked me to ship it to him so he could have the damaged piece repaired. I shipped it back, they repaired it and re-shipped to me within 1 or 2 days of them receiving it - AT NO COST TO ME!!! I was completely ready to pay for a replacement due to my error and TopsOnline went out of his way to help me out. I would buy from them again and am certainly recommending them to my friends.